Home » Giveaway – Win a Blu-Ray of Paranormal Activity: The Ghost Dimension! Can you handle another giveaway, readers? 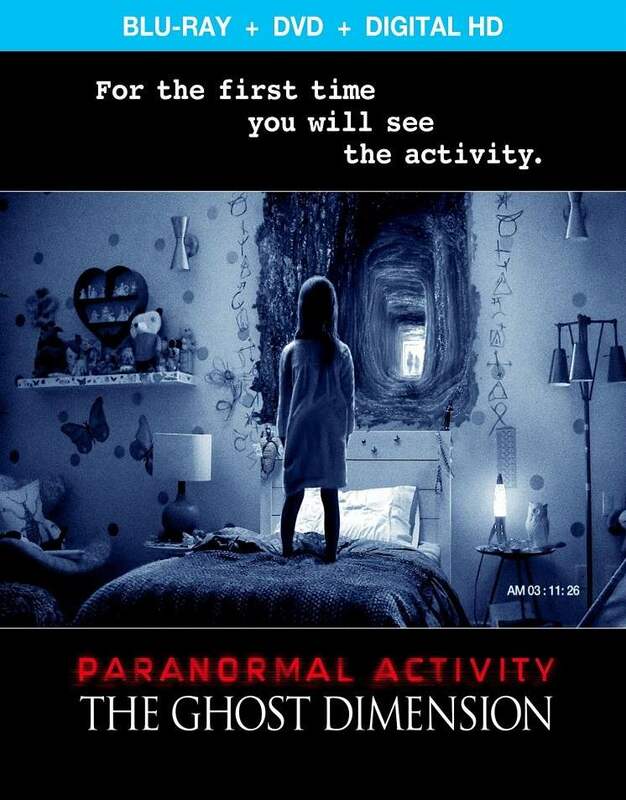 Wicked Horror has another one up our sleeves from our friends at Paramount Home Entertainment for a Blu-Ray copy of Paranormal Activity: The Ghost Dimension! This latest entry of the found footage franchise is now available on Digital HD and On Demand, and will be in stores on DVD, Blu-Ray Combo Pack, and Blu-Ray 3D Combo Pack on January 12, 2016. The Ghost Dimension is the sixth film in the series and comes from Blumhouse Productions. The film was directed by Gregory Plotkin, and it stars Chris J. Murray, Brit Shaw, Ivy George, Dan Gill, and Olivia Taylor Dudley. This Blu-Ray release will include three different versions of the movie: the theatrical cut, the unrated cut, and the unrated cut with an alternate ending. There is also a “Lost Footage” feature, and the 3D edition includes a deleted scene that is also in 3D. You can make your Paranormal Activity collection complete by entering our giveaway, where one lucky winner will walk away with a Blu-Ray copy of The Ghost Dimension! All you have to do is: first, follow us on Twitter at @WickedHorrorTV to show us how much you love us (because we love you, too). Then send an email to our contributor Michele Eggen at seeno_evil63@yahoo.com with the subject line “Paranormal Activity Giveaway,” and include your FULL NAME and VALID MAILING ADDRESS in the body of the email as well as your Twitter handle so we can confirm your follow. You only have until Monday, January 18 to submit your entry, when we will select one email at random to be the winner! The giveaway is only open to our readers in the US. Just two simple steps is all it takes for you to have a chance to win this giveaway! Send me your entry today!